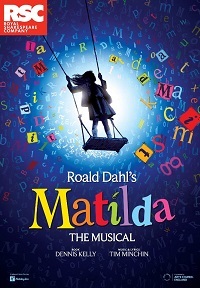 Born to an indifferent mother and a swindler of a father who wanted another boy, Matilda (Ava Briglia) should have grown up to be a bitter child, but instead becomes a clever five-year-old despite the circumstances. Her being a voracious reader is always a source of bewilderment for her mother, Mrs. Wormwood (Lesli Margherita), who stands by the motto, “Looks over books.” Mr. Wormwood (John Sanders) insists on calling her a “boy” and dismisses her smart aleck one-liners instead of celebrating them. In fact, the couple could not wait to send her to school just to get rid of her. There, she finds new friends in her teacher, Miss Honey (Jennifer Blood) as well as librarian Mrs. Phelps (Natalie Venetia Belcon), to whom she makes a habit of narrating a magical story of a daughter loved by her parents to the extreme, which is the exact opposite of hers. She quickly excels in class, but her victory is not an easy climb as she goes head-to-head with Miss Trunchbull (Bryce Ryness), a one-time Olympic hammer-throwing champion and a certified bully who governs as headmistress. This musical caters more to children in the sense that most of the performers are of the same age range, and the song lyrics are rather simplified for a younger crowd to appreciate. As an older member of the audience, what you will enjoy more are the quips and rather unconventional views of Miss Trunchbull regarding child rearing, as well as the very ironic position she holds in that school in spite of her mindset. Matilda’s demeanor can also be a source of entertainment and comic relief given her rather mature thinking for a child of her age. Watching her outwit people way older and stupider than her is such a delight, or maybe we just always root for the underdogs? There are two or three song and dance numbers that will catch your attention, while the rest remain to be rather ordinary. “Miracle” is the opening act and establishes the premise of the story, that of children being miracles that are appreciated and loved by their families, before introducing the titular character who is an exception to that rule. What follows is Matilda’s very own “Naughty”, which gives the audience a deeper understanding of what her character is like. “When I Grow Up” is a really optimistic song which should be every kid’s theme, until they finally reach adulthood and realize that everything is just a scam. But hey, let’s give them a shot at idealism. “The Smell of Rebellion” is Miss Trunchbull’s tour-de-force showstopper, a very physical number that involves a lot of jumping and trampolines. And then the children have another shot at a hit with “Revolting Children”, unique thanks to its pop-rock beats and aggressive rhythm. That physicality is another aspect of the show worthy of praise. The members of the cast ride scooters and swings onstage while belting their songs. One can only imagine how rigorous the audition process was for such roles that require so much physical activity. As for the acting, it takes a really good child actor to memorize all those kilometric lines, including a lengthy one in Russian. Whoever plays Matilda should not just have that sort of intellectual capacity, she should also be able to tap into her emotions at the same time so as to reflect the reality of her character’s dire situation, balancing a display between vulnerability and strength whenever necessary. Briglia successfully achieves such feat and holds her own against Ryness, who is a riot as the very masculine headmistress, raising eyebrows every time she drops a controversial one-liner and never failing to elicit laughter thanks to her brash conduct. Some might argue that he turned her into a caricature, but it sure is a hilarious one, and we are amused. The storyline has a magical aspect dealing with telekinesis, but does not serve as the main focus of the musical. In effect, it is only explored toward the final moments of the show and used more as a plot device to facilitate a more fluid transition from the climax to the denouement. This will not come off as a surprise to those who are already familiar with the film adaptation. For the unacquainted, it will appear to be a bit contrived, but not at all unexpected if seen from a more liberal point of view. The kid is clever, after all, so such a supernatural twist is not that difficult to digest.